Honey powder is just like liquid honey, and can be used as a sweetener or flavoring for all of your BBQ rubs, bbq injections or sauces. 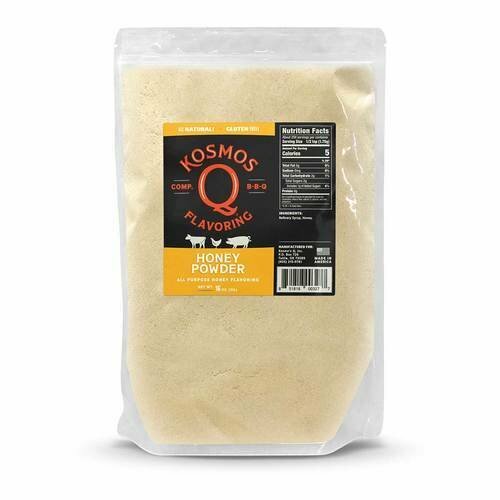 Our powder form is much easier to handle, making it perfect for any bbq or grilling recipe. Just like every other product we sell our Honey Powder has been put to the test and is showing great results. INGREDIENT STATEMENT: Refinery Syrup, Honey.